A little crazy, a lot of fun. The Kura bed is a perfect loft bed except for the fact that it’s remarkably ugly. True, IKEA sells a tent top, but with a jigsaw, two pieces of plywood, and a scrap piece of 1X2 pine, you can have so much more. 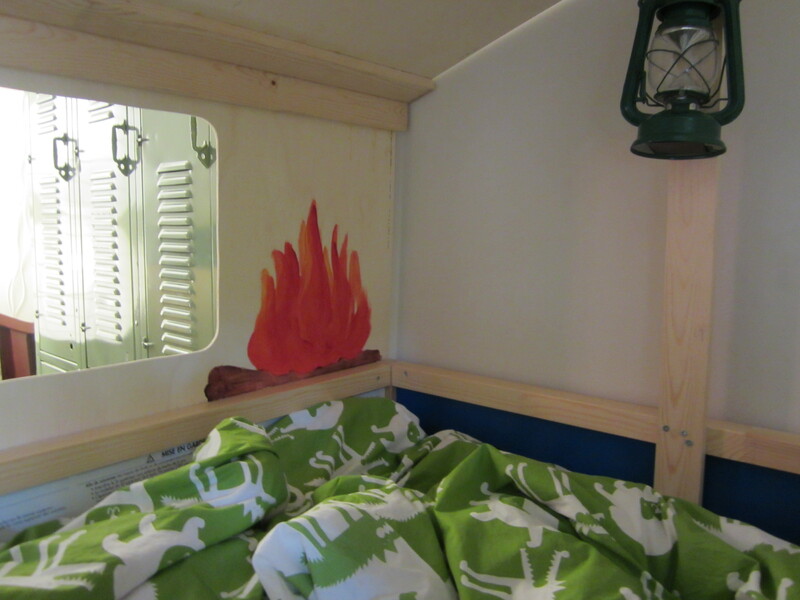 This bed is inspired from the Lil Cabine from Anders Paris, which is insanely beautiful. However, expensive and far taller than a normal 8′ American ceiling can fit. So I modified the design a little to add only two sides (the bed is pushed up against a corner). Download the plans Kura Hack. and I made the roof removable (sometimes little boys like to hide and require grabbing to get them to come out of their cabins). 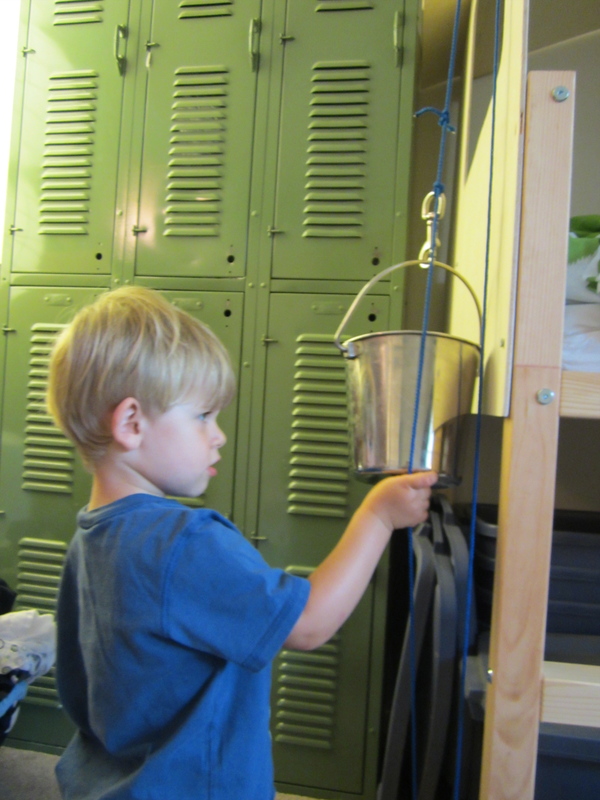 …and rigged up an “elevator” to bring treasures up and down through the window. 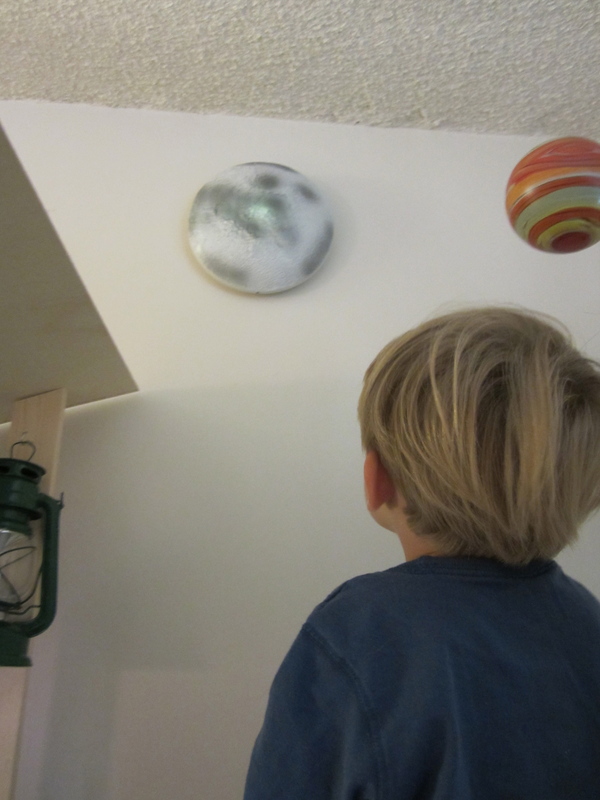 The LED lantern is from American Science and Surplus. 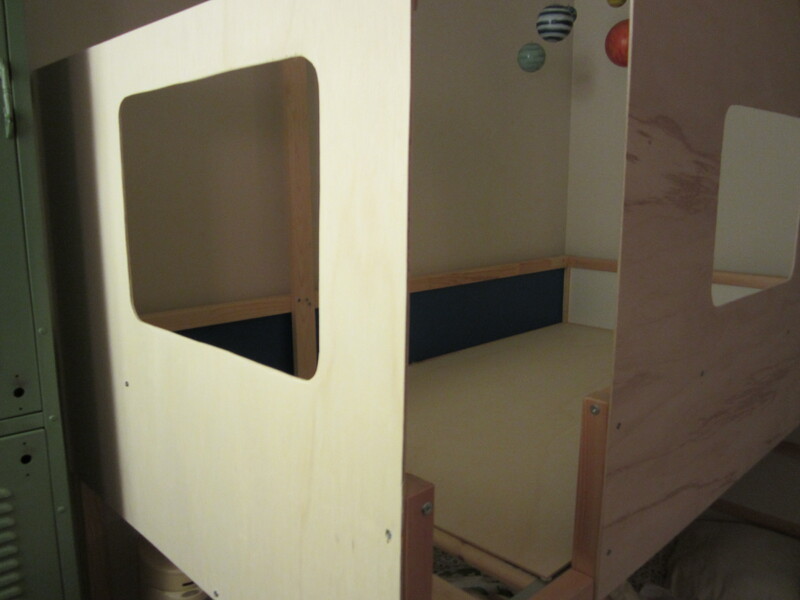 This accomplishes a lot: great play space, comfy cozy bed, and also prevents M from jumping over the edges which was a challenge before the walls went up. 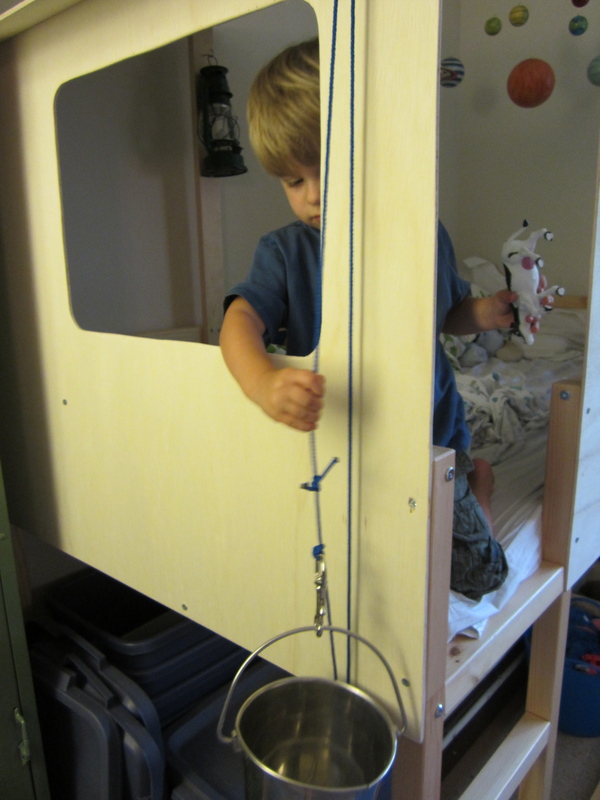 Categories: DIY, Play Spaces | Tags: DIY, IKEA Hack, Kura Bed, Woodworking | Permalink. What is the overall height of this bed? The bed from the apex of the roof to the ground is 81″. How hard is it to change the sheets? You need to physically climb in there to change it or pull the bed away from the wall to do so. It’s a pain but not too difficult. 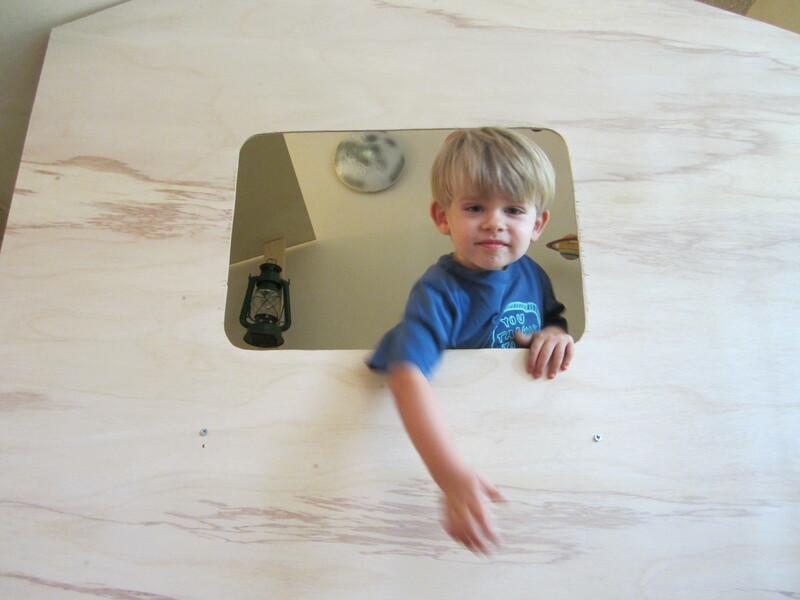 Hi Kristy, my son started in this at two years old (the reason I made it was to keep him in the loft bed!). Since then I’ve added another mattress underneath when I added his brother to the room. Works great! Why not make a giant ball pit?